A great book, loved reading it. I like this book. It is probably my second favourite from the ones I’ve read ( 1-6 ) coming after dark days. A truly Epic and amazing book. Once again Derek Landy has outdone himself. This book is book is full of twists and will keep you at the edge of your seat- you will not be able to put it down! I recommend this book to ages 7-15. 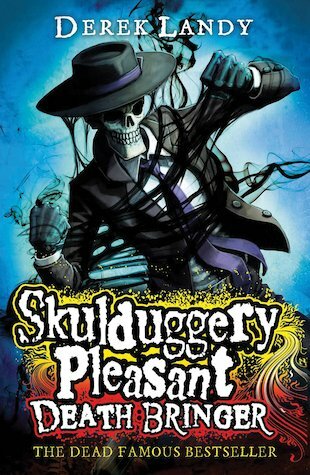 The most recent and BEST book in the Skulduggery Pleasant series. I liked the humour, the action and the sarcasm.